The doctors at Oral Surgical Associates offer a comprehensive suite of oral and maxillofacial surgery, customizing every procedure to suit your individual requirements. Drs. Eugene F. Morris and Armando A. Gama are supported by a dedicated team of dental assistants, and employ the latest technology while offering cutting-edge oral surgery treatments to patients at our Missoula, MT, practice. Be it extensive treatments such as dental implant placement or corrective jaw surgery, or more routine procedures such as wisdom tooth removal, our doctors are committed to providing the best care while maintaining patient comfort and safety. Oral Pathology - Oral pathology focuses on the diagnosis and surgical treatment of issues relating to the tissues of the mouth and jaws, especially infections, cysts, and tumors. While it covers a wide a variety of conditions and diseases, our practice commonly focuses on the timely diagnosis and treatment of oral cancer. Visual and tactile examinations are essential for the diagnosis of any abnormalities of the facial bones and soft tissues, after which your doctor may order a biopsy to determine the nature of the condition. Early diagnosis greatly increases the chances of successful treatment of serious diseases such as oral cancer. Dental Implant Placement and Bone Grafting - Dental implants act as artificial tooth roots to support a variety of dental restorations, and provide unparalleled benefits for patients with missing teeth. Drs. Morris and Gama perform dental implant surgery using advanced techniques that can help patients recover faster. Additionally, our doctors perform preparatory procedures such as bone grafts to help patients become eligible for receiving dental implants. 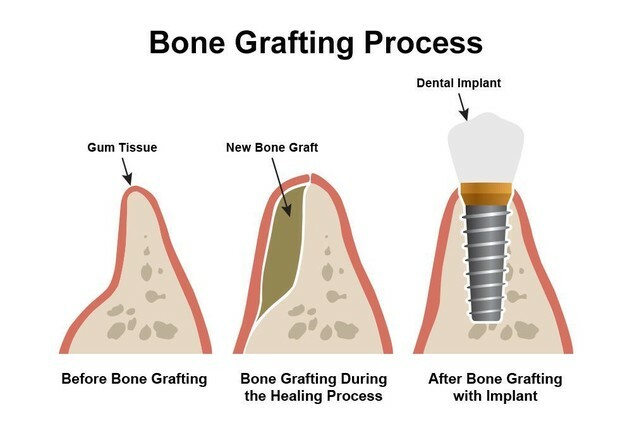 Bone grafting is a relatively straightforward procedure that builds up bone in the jaw in patients with jaw bone recession so that they can receive dental implant treatment. Facial Trauma Surgery and Corrective Surgery - If you are suffering from a broken or fractured jaw or other maxillofacial injuries, our doctors can perform facial trauma surgery to restore your facial structure. We also treat congenital defects and other issues with corrective surgery. 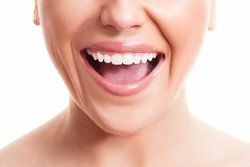 For example, a frenectomy can address speech impediments and prevent a large gap from forming between the upper front teeth. TMJ Disorder Treatment - TMJ disorder is related to problems with the muscles and joints that connect your jaw to the skull, resulting in symptoms including headaches, neck and jaw pain, and difficulty in moving the jaw. We offer a range of treatments for TMJ disorder, including pain-relief medications and oral appliances for moderate cases, to surgical intervention for severe cases. Wisdom Teeth Removal - We can perform both standard and complex wisdom tooth extraction at our practice, helping patients achieve relief from the various problems generally associated with wisdom teeth, including crowding, dental misalignment, and pain from an impacted tooth. By providing comprehensive care for over 40 years, we have built our legacy as a trusted oral surgery office. Our surgeons use the latest technology, including i-CAT® 3D cone beam imaging and panoramic x-rays to diagnose various conditions, and offer different sedation options to keep patients comfortable during surgery. Contact us to learn more about oral surgery treatments, or to schedule a consultation with one of our doctors.